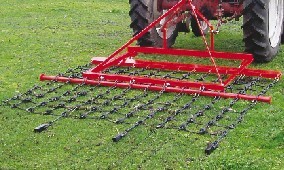 The Daken Dillon Pasture Harrow helps bring pasture to life. These harrows are an asset to any farm wishing to rejuvenate tired pastures or break-up and spread manure quickly and efficiently. Available in 4’, 6’, 8’, 10’, 12’ and 14’.